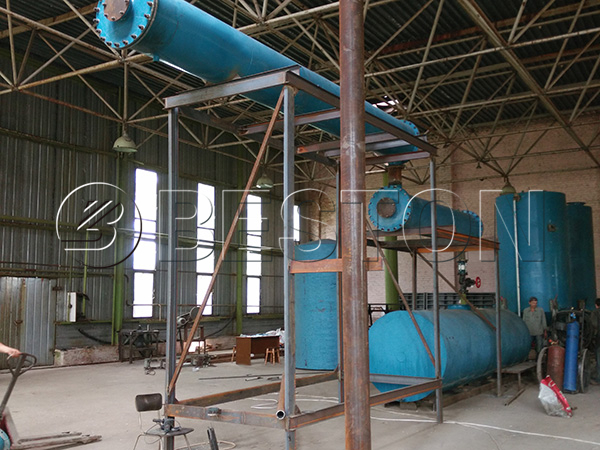 The tyre pyrolysis oil distillation plant can help you refine the all kinds pyrolysis oil and waste oil. 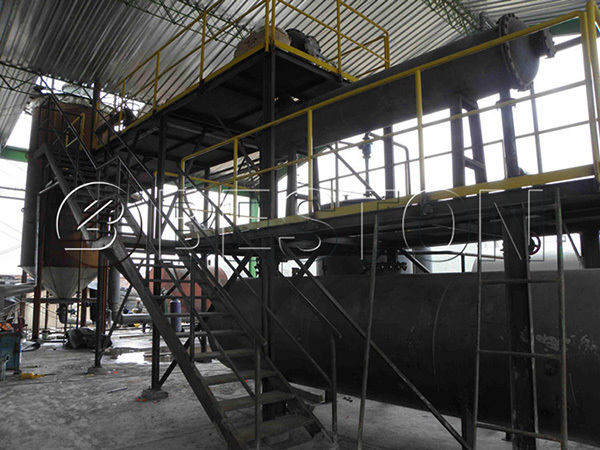 The pyrolysis oil is a kind of fuel oil that you get from waste tyres, plastic with the pyrolysis plant. But we all know that the diesel oil has a higher market price and wider application. So if you refine the tyre oil to diesel, you will make higher profits from the waste. Our tyre oil distillation plants are BZJ-06 and BZJ-10 batch operating plant. Heating Materials Oil, LPG, natural gas, wood, coal, etc. Use oil pump to feed raw material into reactor. Heat reactor by using fuel oil, LPG, natural gas, wood as well as pyrolysis oil. Oil vapour appears when the temperature is rising to the working point. Then it will be stored in oil tank after being cooled by cooling system. After sedimentation filtration, it will be mixed with decolorizing agent. At last, it will become the qualified fuel oil at last. Gasoline will be released when temperature is rising to 180℃, and diesel oil will be released when the temperature is between 180-360 ℃. Incondensable combustible gas shall be sent into the gas tank. Then it can be the fuel to heat reactor after being sealed by the water seal system. The flue gas generated by heating reactor will not cause air pollution after de-dusting system. Our waste tyre pyrolysis oil to diesel plants for sale have been sold to Dominica, Ukraine and other countries because of their gorgeous design and performance. It can create high value-added products for investors. So if you want to know more about the plant, you can come to visit us or contact us directly.